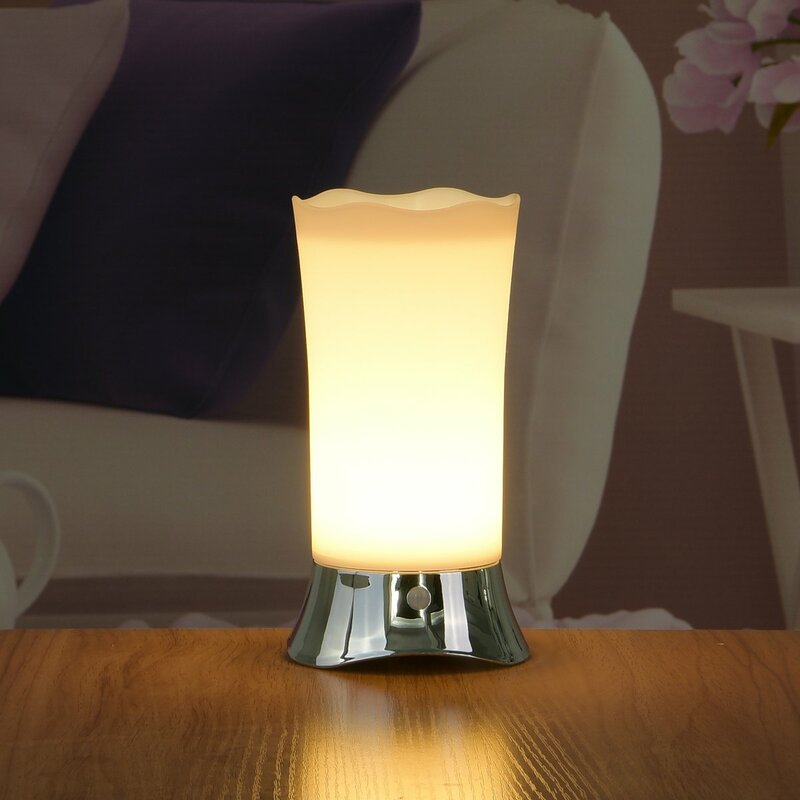 Home › Energy-Efficient LED Lighting › Zeefo Table Lamps / Indoor Motion Sensor Led Night Light Portable Battery Pow..
PIR motion sensor equipped: The light turns on automatically when pass within 6 feet of the sensor, will turn off automatically after 20 seconds, which saves on the battery. Three modes: Auto (PIR & motion sensor activated); ON (no sensor, permanent light); OFF. Portable, lightweight and retro design, ideal for indoor and outdoor, Bedroom, Bathroom, Hallway use. Color: Silver You needn't search around for a switch any more. This lamp would automaticallyturns on when motion is sensed and automatically turns off after a period oftime. Energy-efficient delivers not super-bright but long-lasting illumination andwith a daylight sensor installed that the lights only activate in darknesswhich will save the life of the battery. It would light up your way when checking on baby in corridor, household,heading to the bathroom after dark, or make your way to the kitchen for alate-night snack, makes it easier and safer to navigate a dark set of stairsby illuminating the space as needed. Specification Lampshade Material: Plastic Light source: LED Light Color: warm white Detection rangle: About 3M Detection angle: approx. 120Â° Voltage: 4.5V DC. 3X 1.5V AA battery Dimensions: 3.5 x 3.5 x 7 inches Current: 100-120mA Brightness: 40-45Lms Operating time: 15-20s Grade of protection: IP20 Net weight: 4.5 oz Packing Included 1 x PIR motion sensor LED light (Round) 1 x User Manual Warranty 30 days money back and 1 year limited warranty.